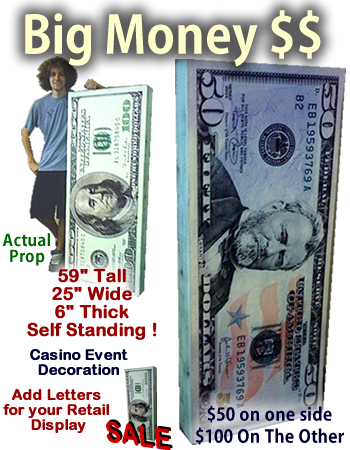 Big Money 100$ & 50$ Self Standing Foam Prop Display - Dino Rentos Studios, INC.
Looks like a stack of cash! Great for retail display and events. Size is 59" tall by 25" wide by 6" thick.